V-LOGIC provides the most comprehensive fulfillment program in Asia Pacific region. Our facilities and systems are designed to handle rapid order fulfillment, large amount of SKUs, piece pick, value added processing such as kitting and labeling, as well as specialized client storage requirements. This makes V-LOGIC an ideal partner for our clients’ e-commerce program. 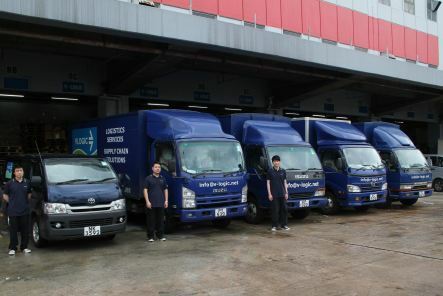 Our own efficient home and retail delivery team is a cost effective and efficient method to reach your customers in Hong Kong, while our in-house freight specialists can design an optimal freight and courier solution for your small and large international orders. Timely and relevant information is provided to the designated parties, including email notifications with tracking number which are automatically sent to recipient for tracking their orders real time. Our e-fulfillment clients include international e-commerce companies that want a cost effective order fulfillment solution to the APAC region. Orders are picked, packed, and sent in a timely manner. No excuses. V-LOGIC has its own warehousing of over 1 million square feet around the world where we have offices. 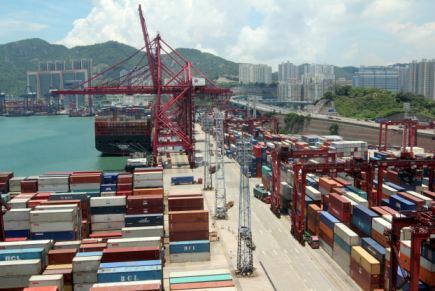 Our flagship fulfillment centers have around 200,000 square feet located in strategic areas of Hong Kong. Our warehouses have the ability to store product on pallets, cartons, and single unit configurations. The facility utilizes pallet racking, long span shelving, small shelving, and bulk floor stack areas to store inventory in the most appropriate medium. We have both ambient and temperature controlled storage areas to ensure products are kept in the right environment. 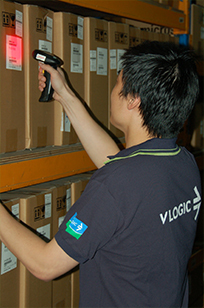 Utilizing our own Warehouse Management System (WMS) built by our own IT team, V-LOGIC is able to keep track of inventory across all the storage areas within our facilities, including temperature control, damaged, staged, hold, returns, and QC locations; as well as tracing along the fulfillment status down to order level. The different storage areas are monitored by digital CCTV and security guards. For higher value items, goods can be stored in security cages. Appropriate security measures are in place on goods and personnel flow. V-LOGIC provides a comprehensive pick & pack fulfillment program. The V-LOGIC system is designed to meet the high order volume and customer service requirements of worldwide business-to-business (B2B) and business-to-consumer (B2C) distribution. 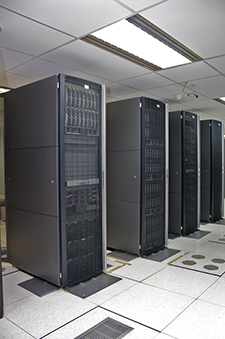 V-LOGIC utilizes state-of-the-art technology that integrates the flow of product with the flow of information. V-LOGIC is capable of picking order down to piece level. 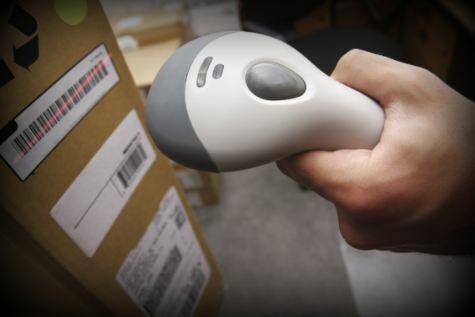 Scan pick process can be applied to goods with complete and unique barcode. 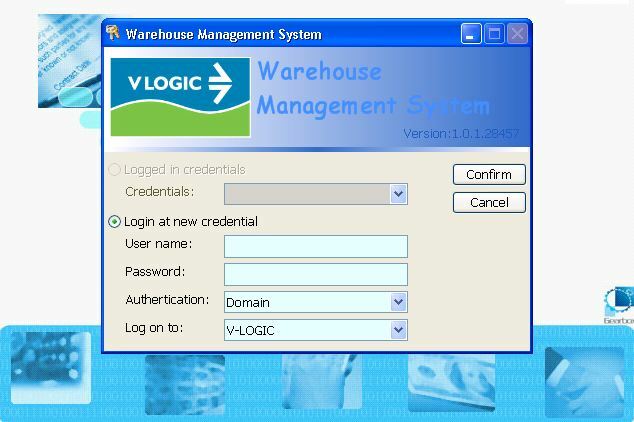 V-LOGIC has built our own warehouse management system (WMS). 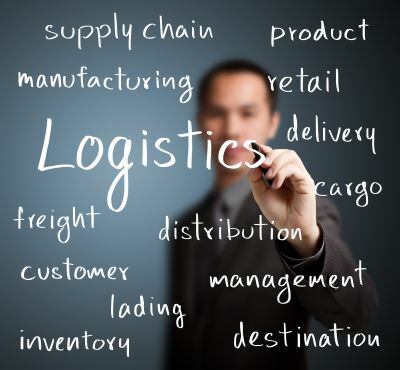 Our proprietary system was purposely built and used by logistics professionals that understand the special needs in linking up the various parties in the supply chain. As of today, our IT team has successfully interfaced all our clients’ systems. We understand our clients' need to have accurate inventory management reporting that can be easily obtained and understood. Our WMS has been built to cater for customers with specific needs including expiry date, color and sizes, batch number, serial number and many other unique product characteristics. We understand the value of not only being able to capture these data for our clients and manage the inventory accordingly, but also able to translate these data into useful information. Our powerful WMS has various functionalities that present competitive advantage to our clients when deploying their business models such as back-order function, cross-docking, recall, stock re-ordering functions and many others. On top of reports send to our clients, V-LOGIC provides them with real-time visibility to inventory and shipment status through its proprietary front-end application called VIVA. It is fully automated, customer-specific, and tailored to meet individual business needs. Client can access VIVA through the internet with the high security protection; the user can obtain information of stock level, stock movements, order status, and various vendor performances indicators. VIVA allows authorized users to fully monitor, update and analyze every details of their stock inventory within V-LOGIC from anywhere in the world. VIVA's web screens allow "drill-down" inquiry into current SKU inventory, Purchase Orders for expected receipts at the fulfillment center, and Shipment Orders for outbound movements per our client's requirement. Bringing the upstream and downstream intelligence together, VIVA gives stock balance snapshots by SKU that express current inventory in terms of both demand against that inventory and expected replenishment supply in current and upcoming time frames. This allows V-LOGIC's clients to see movement in given product lines, and identify potential bottlenecks or stock-outs before they occur and that's a big part of the game in today's supply chain management arena. We not only manage inventory, we support our customers’ business models for them to stay ahead of their competitors! As long as it helps our clients’ business we are always happy to expand our value added scope. With this capability, our customers can keep their inventory in the most generic form in our warehouse while meeting the specific requirements from different recipients anywhere in the world. Since we can carry out the value added jobs right in our facilities, there is no additional handling or trucking costs which allow our clients to enjoy very competitive rates with unrivalled lead-time. 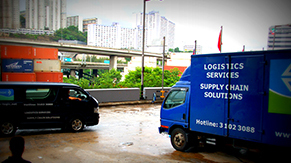 With our extensive logistics capabilities, we provide a truly comprehensive one-stop distribution service. No matter the requirements are for domestic, regional or global distribution for the goods, V-LOGIC’s platform of systems, processes, infrastructure and people are fully capable to support their activities. V-LOGIC is well experienced in consolidation, cross-docking, direct to store delivery and our expert management team is ready to assist in finding the best method in achieving the optimal distribution channel from factory to distribution center and to the end users. Our logistics, fulfillment and freight platform is well designed so that our clients enjoy great flexibility in implementing their marketing strategies and sales channels. Our platform can support a full range of business models with a few shipment orders, few SKU but very large quantity per order to others with large number of orders, large SKU but very small quantity per order or a combination of both. Hence, our clients can optimize its inventory to support multiple models and expand their clientele to include corporate and individuals. This provides a great value to our customers. Although V-LOGIC is much more than a freight forwarding company, we understand the need to be able to handle freight via multi-modal channels to give our clients the optimal solution in terms of both cost and service. Our experienced International Freight Team with our global network of professional freight partners / offices allows us to give the most comprehensive service door to door. What is so special about the freight forwarding service of V-LOGIC? More than just a freight forwarder! When your freight shipments need additional services such as temporary storage, labeling, re-packing, kitting, inspection, partial shipments or any other unconventional freight services, unlike other freight forwarders, V-LOGIC can provide these services to you using our own warehouse facilities and team of people specializes in providing logistics services. Very strong connection with carriers for competitive costs and space availability. Professional and experienced freight team to formulate and choose an optimal carrier for specific route. Professional and energetic business development and sales teams with personal touch serving our clients and partners. First class Customer Service Team to ensure every single shipment is handled most effectively and efficiently for the benefits of all parties involved. Our own facilities, material handling equipment, and personnel give proper attention to all our shipments. Knowledgeable in handling customs clearance of goods. Capable of providing special handling and service such as survey report, factory inspection, production status follow up, loading supervision, etc. We not only handle freight shipments to developed countries, we also handle freight shipments to countries whereby not many freight forwarders can or willing to handle such as Nigeria, Congo, Ukraine, Russia, Afghanistan, Brazil, Argentina and many others. Every enquiry is responded immediately. A major soccer championship final that needs the products to arrive just a day before the final. 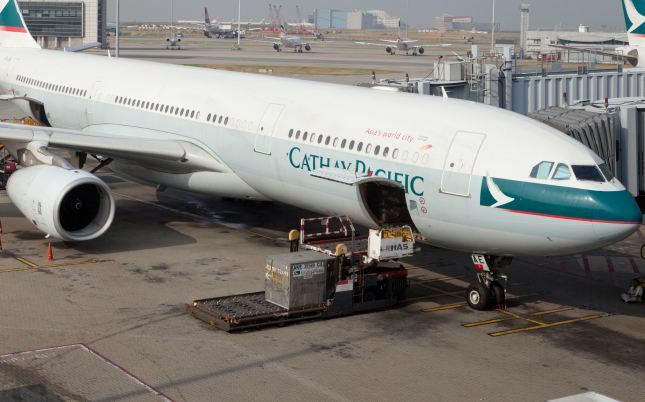 We managed to blocked space with airline, monitored production status, adjusted pick up and rushed to meet the plane and products arrived in good time for everyone to enjoy the final match. When a brand management company of a well-known international fast food chain needed logistics service to consolidate goods from multiple vendors, pick and pack items to store level and then ship throughout Asia-Pacific via air and sea, V-LOGIC was chosen for this project. Not only did we handled the job, we were able to complete ahead of schedule and gave the company huge cost savings by enabling them to ship some of the cargos by sea instead of air. You have to love it! With remarks like above, can businesses ignore the complexities, but the potential of the Asia-Pacific region? As a third party logistics company, V-LOGIC can offer a turnkey solution for both retailers and wholesalers worldwide. With our help, we believe it’s possible for our clients to be part of the Asia boom without incurring the prohibitive cost of setting up in this region. Our team of experts is here to find the optimal logistics solution. We understand not every client has the same needs; we will ensure there is a stable and sustainable process that everyone is happy with. V-LOGIC puts key performance index in place to ensure customer satisfaction is measurable and achievable. With our expertise in warehousing, inventory management, e-fulfillment, domestic, regional and global distribution, and international freight, V-LOGIC is the “go to company” in logistics consultations and project design. Let V-LOGIC become your enabler to the APAC market. We are standing by.